The Standard Footrest offers dual-position height adjustment. 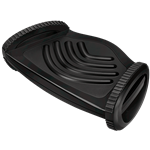 The Ultimate Foot Support has several height adjustments to help elevate feet and legs to relieve lower-back pressure. 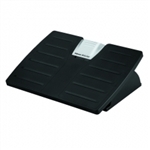 Fellowes Adjustable Footrest with Microban® Protection. 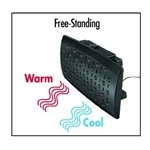 Fellowes offers a comfortable footrest with a three setting climate control feature. Workrite Ergonomics Angle FootRester adjustable angle for proper support. Workrite Ergonomics Height & Angle FootRester height and angle adjustable for maximum comfort. 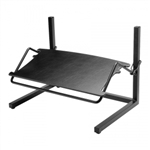 Workrite Ergonomics Production FootRester height and angle adjustable metal platform providing maximum comfort. Providing a resting place for your feet while you work may seem like a simple task – but getting it right is far from easy. You want to get the right angle, height and support. With our office foot rests, you’ll achieve that perfect comfort level with ease – and you’ll wonder why it took you so long to get this amazing addition to your desk. 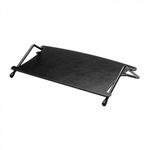 We offer a range of footrests here so you can find the one most suitable for you. 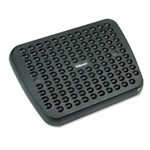 A Fellowes ergonomic footrest for desks of all sizes may be the perfect option as it has such features as climate control, Microban protection and adjustments made by simply sliding your feet. 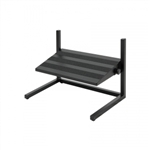 Or perhaps a Workrite footrest is a better fit with its adjustable angles and heights for maximum support. Whatever your preference, you’ll surely find an adjustable footrest for sale here that fits the bill. Once you try it, you’ll realize how much you’ve needed it – and how you’ll never go back to working without one. Feel free to reach out to us with any questions you may have about our selection. Or if you know which one you’d like, order now!